The Masterpieces are here! 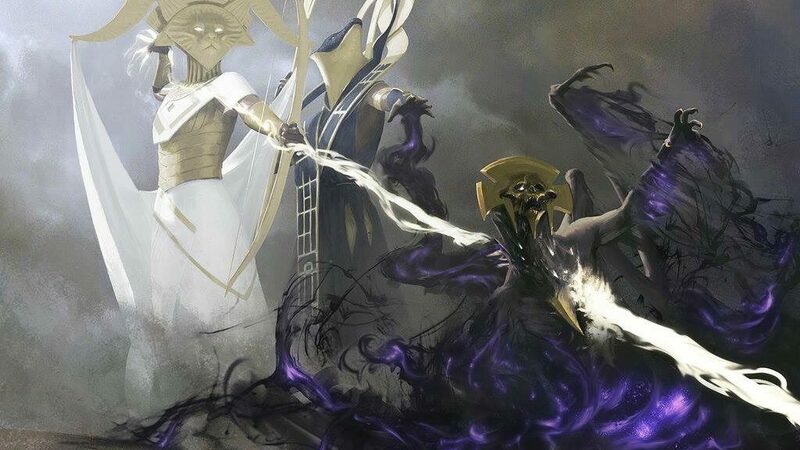 In Amonkhet, they are known as Invocations this time around. I have some beef with some specific choices for this special set, but I see what their goal was. Wizards wanted to give us a 3-D effect and something that was visually very different, and they got that. I don’t like the unreadable card name, and I think there’s a lot of spell bubbles, but I’m not an art critic. I’m a casual player and someone addicted to foils, but this design doesn’t have to be for me. Even if you don’t like the look of these cards, these are valuable. Even the least of these will be worth about the same as the most expensive mythic, barring the very unforeseen. This week, I want to look at these current prices and see where they will probably end up, price-wise. The preorder price is an amalgamation, between some sites, and eBay sales aren’t up yet. Aggravated Assault – Original: $12, Set foil: $28, Preorder: $30 – If you like this you’re going to pay a little bit more, and that makes sense. I don’t think the demand is very high for this card, though. It’s rare that you activate this more than once, even if you’re a Yidris, Maelstrom Wielder player. This card doubled when his deck was released and hasn’t been printed since Onslaught. Prediction: I think $30 is a perfect price here. It’s on par with the set foil, which lots of people find appealing. Attrition – $9, $40, Preorder $35 – I want to like this. I really do. Attrition works so well with a number of casual strategies (Meren, tokens, Karador) and this has potential. It’s popular enough that I think the price is going to creep upward but not a lot. Prediction: At the end, it’ll be about $45. Austere Command – $12, $35, Preorder $50 – Lorwyn and original Commander are the only printings, and I think this price reflects the appropriate demand and the semi-small supply. It’s not played outside Commander and Cube, but it’s nicely flexible and worth playing in most casual decks. Prediction: This is going to fall to about the same price as the set foil. It’s not pretty enough to be worth upgrading to if you already have a foil. Aven Mindcensor – $8, $53, Preorder $45 – We’ve had it spoiled that this is going to be a rare in Amonkhet, so that $8 isn’t going to last. It’s not widely played in Modern or Legacy, though it does pop up in sideboards. It needs to be said that the frame is going to play a big part, as those who like the Future Sight frame REALLY LOVE that frame and I don’t see the pack foil budging in price. Prediction: The Invocation version will fall by a few bucks, but not terribly far. Chain Lightning – $11, $3/$6 Eternal Masters, $6 for PDS foil, Preorder: $40 – This seems super duper and incredibly way off. This is played in one deck, Legacy Burn, and while it’s a four-of it’s not usually the market for these promo versions. Prediction: This falls like a rock. It should drop down to the $20 range, which would be 3x the price of foils available. Ouch. Consecrated Sphinx – $20, $60, Preorder: $50 – The card is bonkers insane in any format where it survives being cast and not being killed before the next draw step. There’s precious few cards that will get you attacked to death faster, and the single printing is why the price is so high. Prediction: Against all my instincts, I think this is going to go up. It’s the only Sphinx so far in the Invocation set, and I think there will be enough casual players who want this to let it creep up by $10-$15 or so. Containment Priest – $15, Preorder: $75 – This sees a small amount of play in Legacy and Vintage, and with no other choices for making unique versions of the card, I’m expecting big things out of this foil. That said, this is a 5x multiplier, and I think that’s just too high. 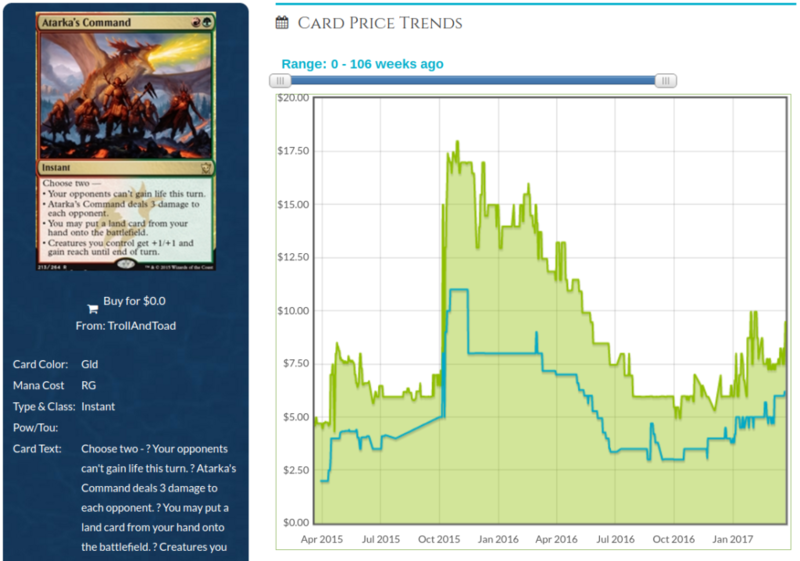 Prediction: This ends up at $50-$60, there’s just not enough demand, even though its only printing was a Commander precon three years ago. Counterbalance – $20, $115, Preorder: $65 – This is in demand because of the power it offers in formats where Sensei’s Divining Top is legal. I rarely see this in Commander, and its power in Cube is debatable. A foil multiplier of 6 is fascinating, though, and speaks to the income and the four-of nature of this card. Prediction: I think this has room to fall. The pack foil is far superior in appearance, but those who want this will be few and far between. I expect this to land at $40-$50. Counterspell – $1-$175 for nonfoils, $6-$32 for foils, Preorder: $60 – The Invocation version is the 25th entry we will have for this card, including the foil versions. You have a wide variety of art to choose from, and can go all the way back to being an Alpha rare. 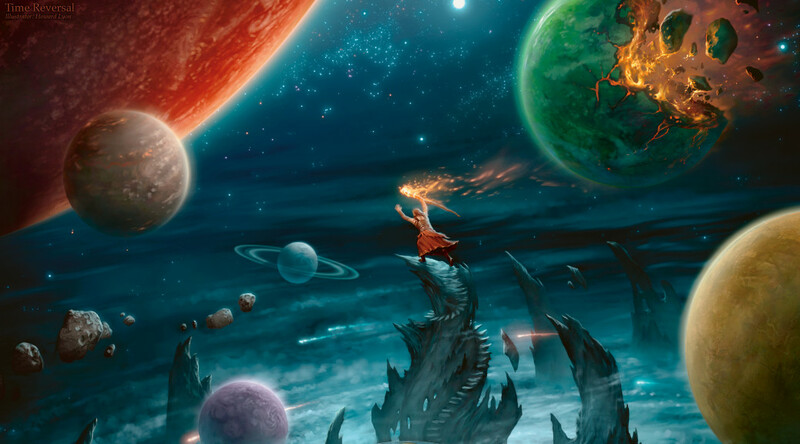 You can choose an FNM promo, or a Judge Foil, or a selection of special printings. Prediction: I think this falls to $40 or under. Yes, Commanders and Cubes play this, but there’s rarer and older versions to chase. Cryptic Command – $26-$30, $35-$110 foil, Preorder: $90 – The Lorwyn foil is way up there as the original foil, but the Modern Masters foils are intriguingly cheap. This is a great and powerful and often-played card, so I think it’ll have a premium. Prediction: This version of the card will be bought in playsets, and supply will never have a chance to get too big. This will settle in the $75 range, bridging the gaps nicely. Dark Ritual – $0.50-$80, $4-$53 foil, Preorder: $50 – I shouldn’t need to tell you that this is either a four-of or not played at all. You’re either desperate for the mana or you pay full price. I do love versions where this has the card type ‘Mana Source’ though. Prediction: Those who want this will also be buying the full playset, but there are so few of those decks. The demand is low, as evidenced by the complete disregard by the market for the FTV version, so I think this will fall to about $30-$35. Next week I’ll come back with the rest. Stay tuned! 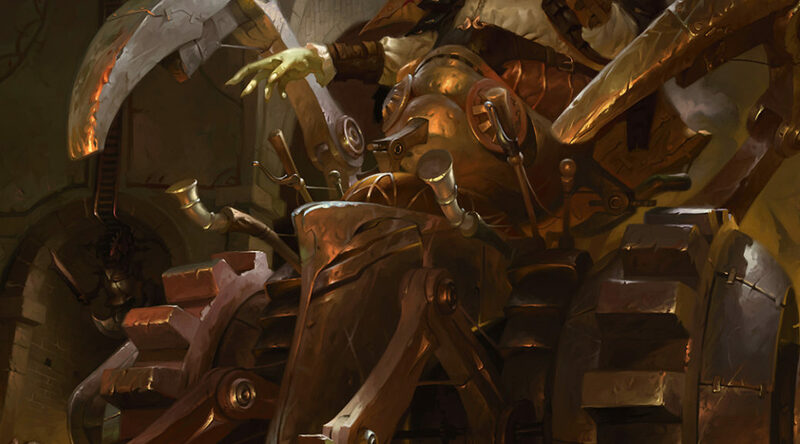 Today I want to look at some sideboard cards in Modern and Legacy, things which aren’t seeing a lot of play yet but if they are good enough to make the 75, it’s worth thinking about what might pop given a little time or a minor metagame shift. Collective Brutality – $10/$18 foil – This is a very intriguing card, since it’s a small set rare with a foil multiplier that’s under two. 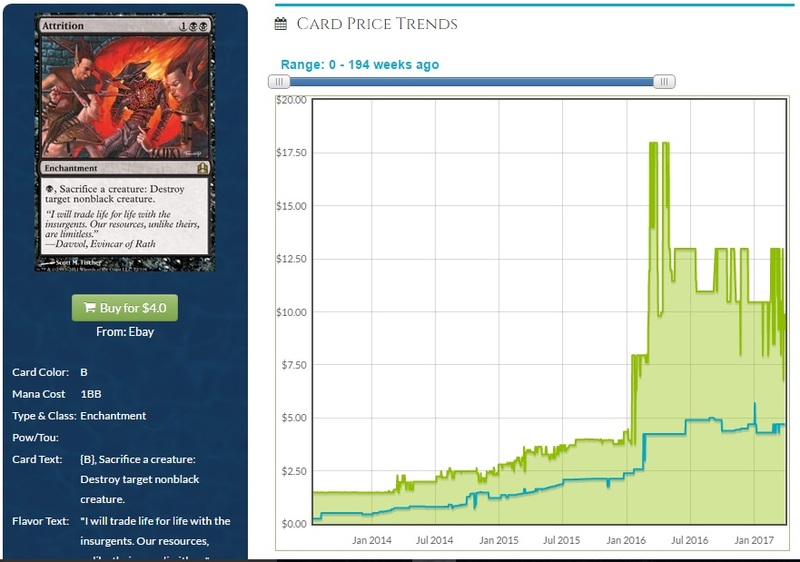 It’s not seeing play in Standard currently, so this price is mostly from the other formats. This is seeing play in a range of decks, but not in large numbers. Mostly, it’s a one-or-two-of, as befits such a flexible card. Forecast: The number of decks this is played in, and none of those being Standard, means that this is unlikely to get lower when it rotates this fall. If it goes even to $8, I would be in on this, as being $15 or more in a year seems very likely. Maelstrom Pulse – $16/$32 – While not a big card in Death’s Shadow decks, it’s also present in Jund and this is a fantastic card in Commander. It was a mythic a long time ago, in a third set, it was a rare in the first, underprinted Modern Masters, and then it was a Grand Prix promo. It’s around, but there’s also demand. Forecast: The buy-in is high here, but the potential is big. Only a couple of decks play this, but casual demand has soaked up a lot of the available copies. It’ll break $20 if not reprinted soon. Atarka’s Command – $9/$14 – This requires the three-color Burn list, and some players are content to be only Boros, because of access to Kor Firewalker. If you’re adding green, though, this is flexible and incredibly powerful. Forecast: One of the Dragonlords is going to get a Duel Deck or a Commander appearance or something, and that’s the only thing I’m worried about. This is already on an upward trajectory, and it’s easy to see this gaining 50% or more in the next few months. If Burn wins a tournament, or performs well on camera, that could be a lot sooner. Deflecting Palm – $0.75/$3.50 – This is from Khans of Tarkir, so there’s a lot more of it than there is for Atarka’s Command, but my goodness, this is exactly what I want in a sideboard card. It’s cheap, and incredibly swingy. When you draw this against a Death’s Shadow deck, you feel like you can’t lose. They are going to go for the win and you’re going to prevent your own loss and beat them with one play. It’s not widely played, though. Forecast: Very slow growth. It’s not in enough decks, frankly. I don’t see this gaining a lot of value anytime soon, barring the unforeseen. 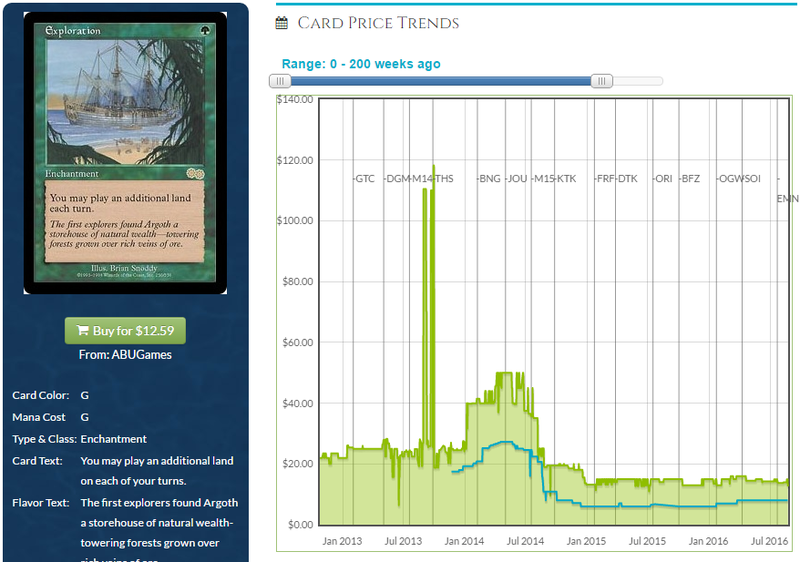 Ghirapur Aether Grid – $1/$13 – The foil multiplier here is truly impressive, as is the uncommon being at $1. There were two copies in the intro pack too! This is casual gold, and sees light play in Lantern Control as well. Forecast: I’m in on the foils, to be frank. If this gets reprinted in a Commander product the nonfoils will take a hit, but they just printed an artifact Commander deck and didn’t include this. I think it’s safe for the next year, so picking up nonfoils is fine too. Spire of Industry – $5/$13 – This is a maindeck card, but one worth attention as supply dries up and we move into Amonkhet. It sees a lot of play in Standard, but the casual appeal and the Modern usage has me eyeing this. Forecast: I think this is a $10 card around Christmas of this year, and the foils are going to rise slowly but surely over time. Thrun, the Last Troll – $12/$34 – He’s dodged reprinting over and over again, and I don’t think he will end up in a Commander set. The supply from a middle-set mythic five years ago was never big, and without a supplementary printing, he’s due for a pop. Forecast: This seems pretty safe to me. 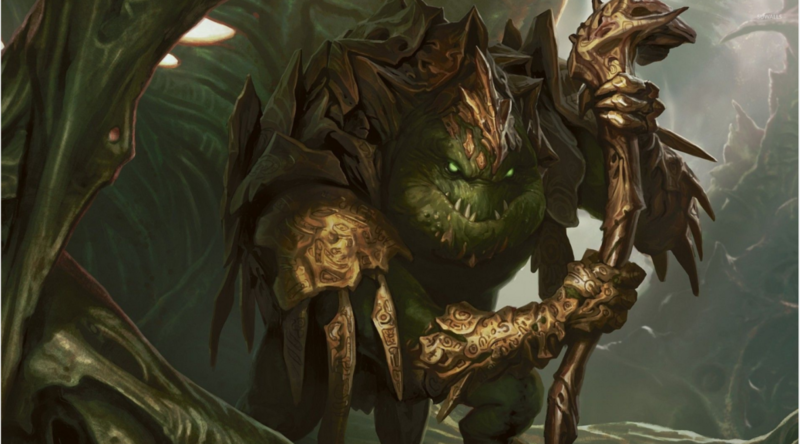 His value is a bit too high for easy reprints, and his next set would be Modern Masters 2019. I don’t know when he will spike, but spike he will. Sometime in the next 18 months, this will go up to at least $30. Kitchen Finks – $12/$20-$30, depending on the foil version – This card is played a lot, as shown by its price. It’s resilient, catches you up, and can be played in white or green. Only two printings, plus the FNM promo. Forecast: As an uncommon, it can be added to products easier. Its price has been quite low in the past, but it is also part of infinite life combos in Modern. I do not think the time is right to move in on this yet. 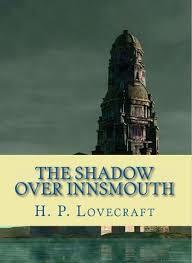 I think it’s due for a reprint, and when that happens, I will want to be ready to pick them up. The exposure is too high here.